Chanel has a new celebrity ambassador... | HELLO! Will Smith and Jada Pinkett-Smith's daughter Willow Smith may only be 15 years old, but she is already making waves in the fashion world. 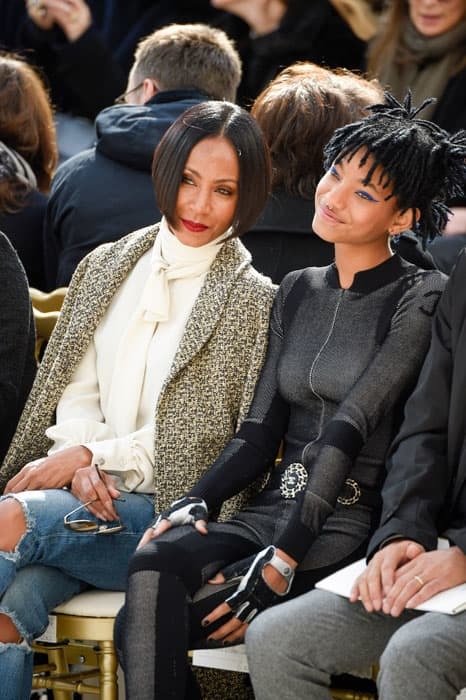 We thought it was a bit intriguing that the teenager and her mum Jada Pinkett-Smith attended the Chanel show at Paris Fashion Week... But now we know why! 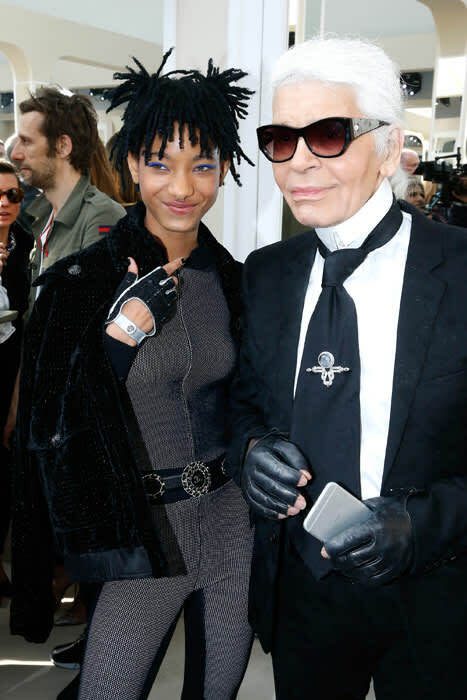 Willow has been tapped by creative director Karl Lagerfeld to be one of Chanel's new ambassadors. Willow made sure to support her new employee as she turned out for the AW16 catwalk show with mum Jada.